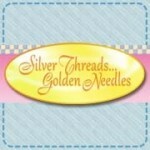 Exclusive – you will only find embroidery designs done with that artwork on my website. Semi Exclusive – The artist sold a limited number of artwork sets, typically between 3-6. You may find this artwork digitized into embroidery designs on another site. Timed Exclusive – The artist sold the artwork only for a defined period of time, typically 24 hours. You may find this artwork digitized into embroidery designs on another site. Artists also sell general sets to an unlimited number of digitizers. It is not unusual to find this artwork digitized into embroidery designs on many different sites. Each digitizer brings their own style to the artwork so the designs usually look similar but not exactly the same. Please note: Some of the sites may no longer have an active website or have changed the name of their business. Including Sanqunetti Designs, Cocoa Studios and Kelly Medina.